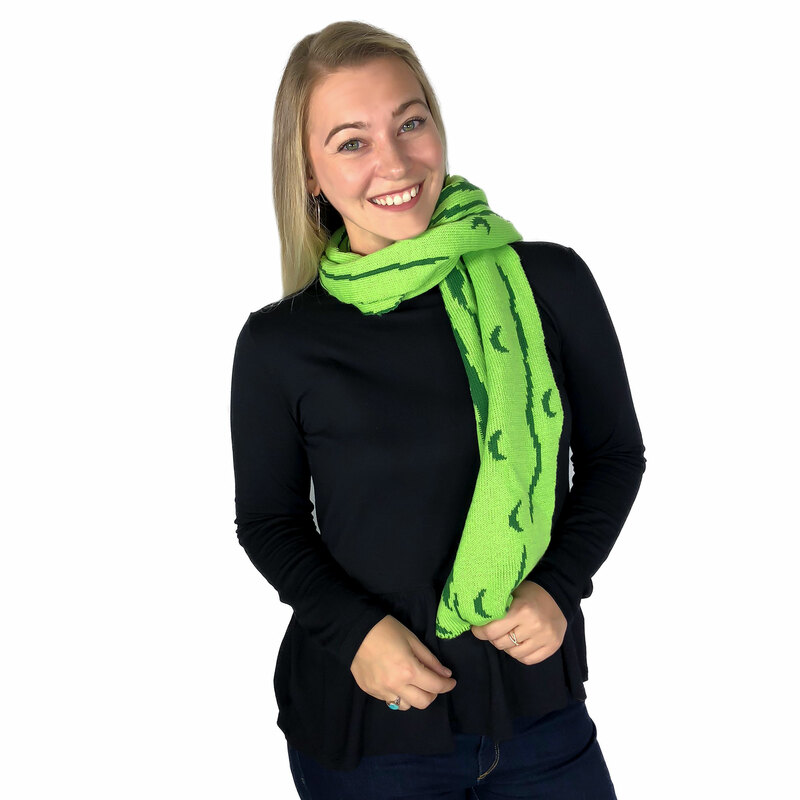 If you believe pickles are a big Dill in your life, boy do we have the right scarf for you! 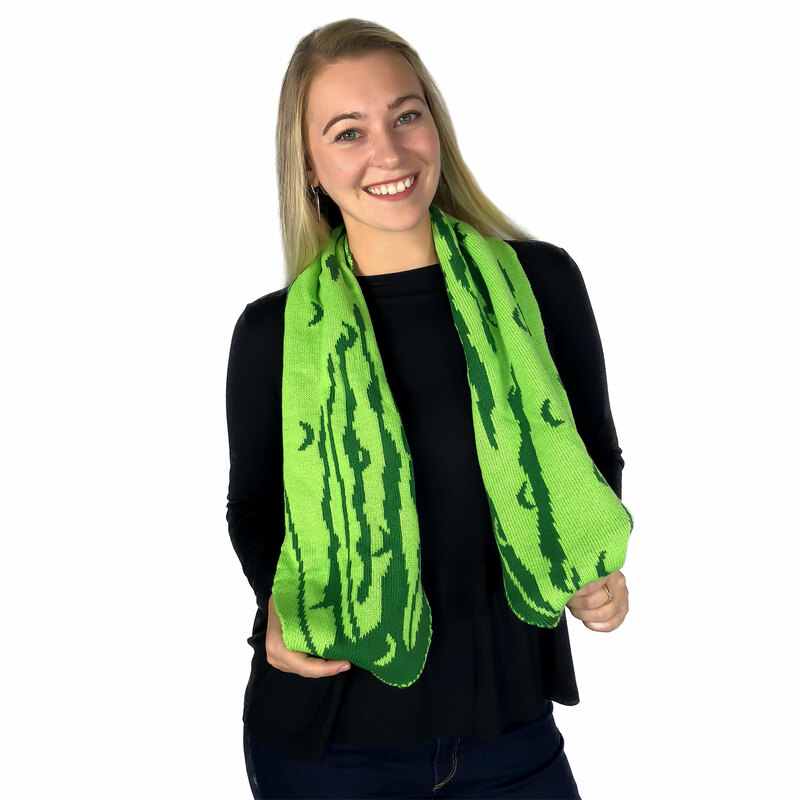 This pickle-icious scarf might not be edible or smell like pickles... well unless you wash it in pickle juice, but it sure expresses your love and devotion to all the pickles in the universe. 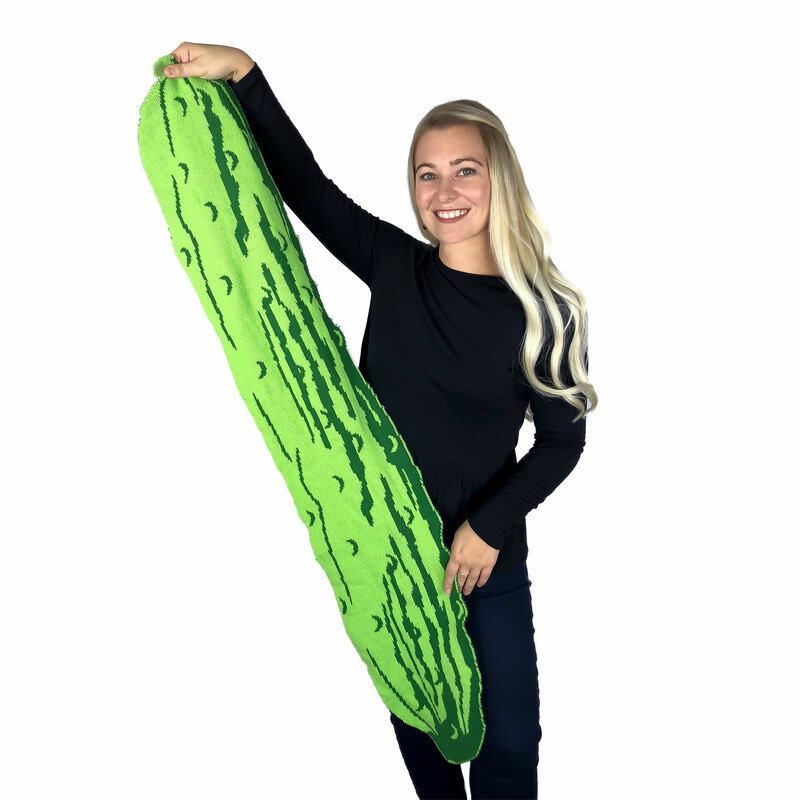 Take that cucumbers!